This week on Good Food, Eddie Lin gets a lesson in urban foraging from naturalist Joel Robinson. Ham adorns many Easter tables. Mark Scarbrough explains the many varieties of this delicious cut of meat. Amy Scherber is here with another Easter favorite, hot cross buns. 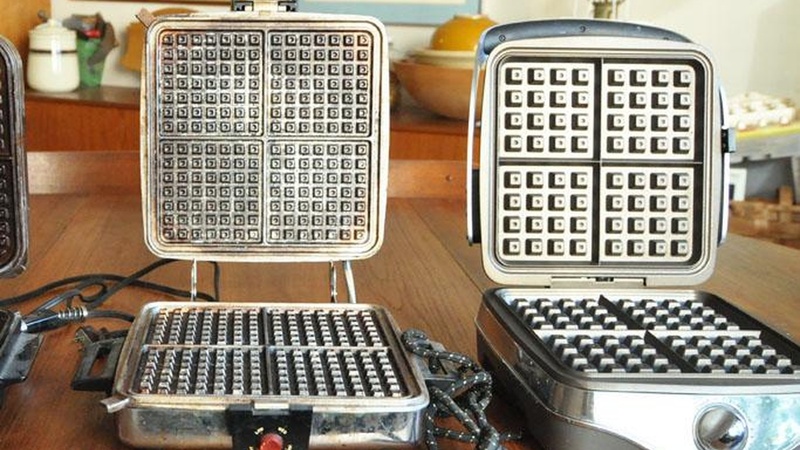 Russ Parsons of the Los Angeles Times talks waffles and waffle irons. Dan Shumski never met a waffle he didn't like -- he calls himself the wafflizer and he can turn any food into a waffle. Gustavo Arellano shares place for birria, or Mexican goat stew, in Orange County. Dr. Marion Nestle explains why agave isn't much better than high fructose corn syrup. A sneak peak at the new season of Bravo's Top Chef Masters with Susan Feniger. And Laura Avery tells us what's fresh at the Santa Monica Farmers Market this week. Amy Scherber owns Amy's Bread in New York City. Her latest book is Amy's Bread . Mark Scarbrough is the author of Ham: An Obsession with the Hindquarter with Bruce Weinstein . Dan Shumski writes the blog Waffleizer . Eddie Lin writes the blog DeepEndDining.com . Joel Robinson is the Executive Director for the non-profit organization Naturalist For You . Gustavo Arellano is the food editor for the OC Weekly . He also writes the Ask a Mexican Column. This week Gustavo reviews the birria at El Cabrito in Santa Ana.